Jean-Claude Juncker is the archetypal Luxembourgian.The president of the European Commission is in theory a champion of a multicultural Europe. He has the right experience at the highest political level and has first-hand knowledge of French and German-speaking territories, the Continent’s heart. They couldn’t pick a better leader, could they? Actually, yes. At the end of last year, it turned out that Juncker does not fit the bill at all: his remarks on the Luxembourg Leaks were revealing. It has all started to go pear-shaped. The former PM and finance minister of Luxembourg admitted in an interview that he’s no more responsible than others in allowing big multinationals to use legal manoeuvring through his country, which notoriously encourages skipping full fiscal compliance. “Subjectively speaking, I’ve nothing to blame myself for any more than others have, and I should add that European governments have said nothing following these articles. “But, objectively speaking, I am weakened because LuxLeaks suggests that I took part in operations that did not follow basic ethical and moral rules. These were Juncker’s words to the French newspaper Libération, relayed by The Guardian. The legal exploitation of loopholes smacks of unfairness. Bearing in mind Juncker’s past and current political height, this story is a broken pact between authorities and electors. The Base erosion and profit shifting mechanism (BEPS) – proof of a flawed EU internal market – meant that money was easily siphoned off via Luxembourg. Communities in neighbouring countries put up with scaled-back public services as a result of shrinking tax revenue. This didn’t just happen in Luxembourg, although it was precisely there that most of the unbelievable tax evasion tricks ever devised on EU soil have taken place. All of them were seemingly legal. 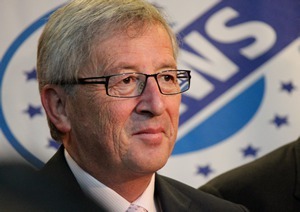 Juncker feels saddened by the way Europeans look at him. But what’s really depressing is that he has yet to take a firm stance against what happened. The interview with the French daily was really poor show. Questions about Juncker’s integrity were brought about by enterprising journalism. The effort put in by the International Consortium of Investigative Journalists (ICIJ) to uncover the LuxLeaks’ magnitude was is admirable. Independent journalism at its best, of the type Europeans desperately need. French whistleblower Antoine Deltour has apparently been made a scapegoat, together with fellow countryman Edouard Perrin, a journalist who first broadcast the story in 2012 on a major TV channel. Both have been brought before justice. Deltour risks facing ten years in jail and fines of over a million euros. According to Luxemburger Wort, Deltour maintains he shouldn’t be seen as directly responsible for LuxLeaks. In his view all he did was to pass on secret documents to one journalist: an understandable last-throw attempt to save his bacon. The pressure around him must be enormous indeed. His is a case of exemplary punishment. In fact, tax evasion is an industry in itself, propped up by hugely powerful lobbies. Their message couldn’t be clearer: don’t mess with us. A disconcerting scenario, with intimidation being enough to silence individuals itching for justice. Germany, France and Italy – who majorly lost out on tax revenue during Juncker’s nineteen-year career in government – were quick in showing their anger. The three countries’ finance ministers ‘were so outraged’, said Simon Bowers in The Observer, ‘that they wrote to the commission demanding an urgent tax avoidance crackdown.’ The UK did not sign the letter, despite its own conspicuous losses. The half-sorry Luxembourgian practically admitted malevolence; but, he implies, everybody has sticky fingers and he shouldn’t be singled out. He showed he has no moral high ground to speak of. In light of all this, it is clear that Juncker’s leadership deserves further questioning. Considering that the tackling of tax evasion is on all political parties’ agendas, can the EU, with the help of brave journalism, aspire to more conscientious leaders? And do we have to wait till 2019 to see any changes? UKIP want to legalise a lot more, actually. And are for even lower tax on the rich. So keep making those excuses. Tax evasion makes all poorer, those of us paying tax have to keep this country afloat. Remember we are the 6th richest country in the world. Time we all felt some of that wealth! No surprise there, that the Tories refused to sign! We need lots and lots more stories about this. Hint: the accounts for the Commission’ expenditure. Hint: the attendance allowance in the hemicycle. Hint: the accountability and transparency of Commission deliberations. Hint: the voting and the way decisions are made in the European Parliament. Hint: the selection of Judges in the ECHR.